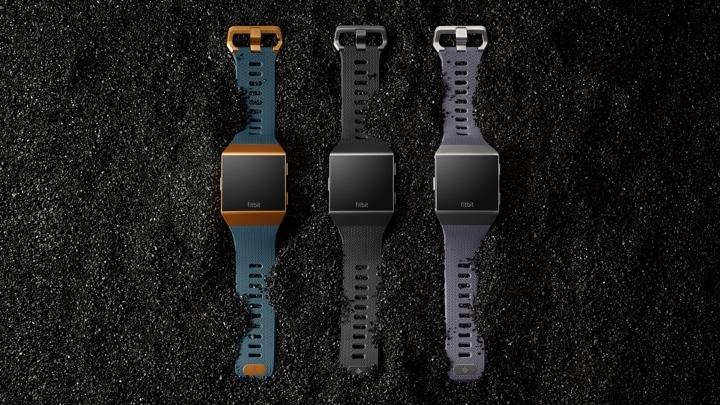 Fitbit has finally made it official; the Ionic smartwatch is launching on the 1 October as it looks goes head-to-head with the Apple Watch Series 3, a whole bunch of Android Wear smartwatches and Samsung's incoming Gear Sport. The Ionic is set to be joined by the Flyer, Fitbit's first ever Bluetooth headphones and the Aria 2 smart scale, but it's the Ionic that smartwatch and Fitbit fans will be eager to get their hands on. If you need a reminder, headline Ionic features include built-in GPS, a waterproof design with swim tracking, an app store, personalised coaching, Fitbit Pay for contactless payments, and an onboard music player. Fitbit is now quoting the battery life at up five days. In testing we averaged four days before needing a rechardge, so we suspect that pushing it up to the maximum of five will just require a little more balanced use. In any case, it's good news. To help ramp up the Ionic's app offerings (which will be pretty limited at launch), Fitbit is also launching its software development kit this week for interested developers to build apps and new watch faces and hopefully improve the numbers in the Fitbit App Gallery store over the coming months. Fitbit also announced that it'll launch its Fitbit Coach personal training app in October too, which is powered by FitStar and offers a host of video and audio workouts, some of which you will be able to follow from the Ionic's touchscreen display. The Android, iOS and Windows-friendly app does however involve a subscription service starting at $7.99 per month or $39.99 a year. Its Guided Health Programs, which will help prospective owners kick their sugar habit or run a 5KM, will not be available until 2018. In terms of pricing, the Ionic will cost $299.99 with accessory bands priced at $29.95 and $59.95 for the more luxurious Horween leather bands. If you want the Flyer headphones too, they will set you back $129.95. We have already been fortunate enough to get our hands on the Ionic and we scored the Fitbit smartwatch a relatively positive but far from perfect 3.5 out of 5 score. While there was a lot we like about it, ultimately it had its fair share of software niggles that we hope get sorted over the coming days, along with a few feature gaps that will be plugged come launch. At that point, our opinion may well change. Will opening up the SDK to devs now help the app situation? With only a few days to go before launch, that seems unlikely, but we are intrigued to see whether there will be the same appetite from devs to work with Fitbit's OS as there is with Apple's watchOS or Google's Android Wear. We should get a much better picture leading up to the festive period if Fitbit has got things right with its first ever smartwatch.